1. Apple Cider Vinegar – Apple cider vinegar is a hailed sinus infection treatment. Being just one of many apple cider vinegar uses, countless individuals attest to the effectiveness of apple cider vinegar against a multitude of health conditions, including sinus infection. One of the most powerful ways to use ACV is to mix 8oz of warm water with 2 tbsp of ACV and 1 tbsp of honey. The sinus infection could vanish within just a few days. Another option when taking apple cider vinegar is to simply take 1 tablespoon 3 times daily, whether diluted to ingest throughout the day or made to ingest quickly. Lastly, you can also try steaming with apple cider vinegar; mix ~1/2 cup of ACV with 1/2 of water, heat it on the stove, and inhale the steam with mouth and eyes closed. I recommend using organic ACV over non-organic. 2. Turmeric – Thanks to a powerful compound found in turmeric known as curcumin, turmeric possesses powerful health benefits. Among the health benefits of turmeric is the spice’s ability to treat sinus infection. Curcumin helps to heal the sinus cavity and clear the airways. Since sinus infections are caused by nasal inflammation, and turmeric possesses anti-inflammatory properties, the spice can be seen as one of the existing natural cures for sinus infection. 3. Nasal Saline Rinse – While the above remedies may suffice, a nasal saline rinse is also a very popular sinus infection treatment to store in your home remedies memory bank. For the mixture, you could try mixing ~1/4 teaspoon of sea salt or pickling salt with a pinch of baking soda and a cap-full of food-grade hydrogen peroxide in 1 cup of warm water or simply use sea salt/pickling salt and warm water. If you have never done a nasal irrigation, or saline rinse before, ask someone who has for assistance or try following detailed directions. It may not be the most comfortable of solutions, but a nasal saline rinse seems to continuouslybe passed down as one of the more effective home remedies for sinus infection. 4. 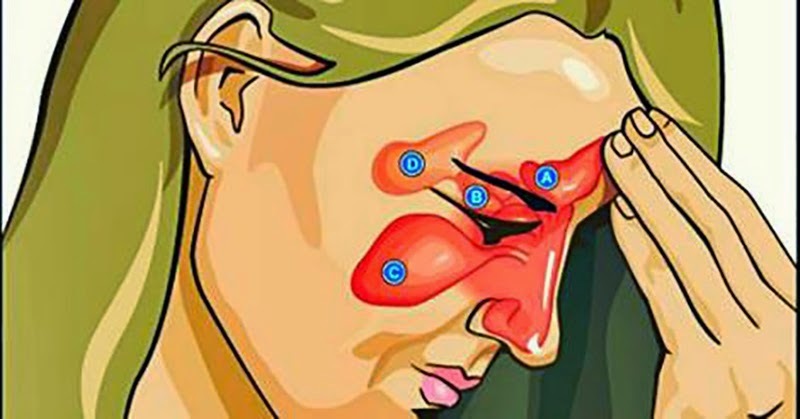 Oregano Oil – While it may not be the most accessible of the home remedies for sinus infection, oregano oil can be an effective sinus infection treatment. Not only could you simply ingest the oregano oil, but the oil can also be steamed and inhaled over a stove (with eyes closed). In addition to being a potential treatment for sinus infection, oregano oil benefits may also help to improve digestion, aid in fighting infections, and improve biological function – especially in the liver and colon. In addition to the above home remedies for sinus infection treatment, you could try utilizing some of these options. -Elevate your head while sleeping. -Apply warm compresses to your face multiple times daily for 5 minutes each. -Vitamin C is an excellent immune booster, and can help to fend off sinus infections. Try taking up to 1000 mg of vitamin C 1-3 times daily. -Drink got liquids to help moisturize your mucous membranes and to help wash away mucus out of your sinuses more quickly. -Clean your house and especially your bedroom. Using a HEPA filter air purifier will also be beneficial. Push your tongue against the top of your mouth and place a finger between your eyebrows and apply pressure. Hold it for about 20 seconds and your sinuses will begin to drain. According to Lisa DeStefano, D.O., an assistant professor at the Michigan State University college of osteopathic medicine, this causes the vomer bone, which runs through the nasal passages to the mouth, to rock back and forth, says The motion loosens congestion; after 20 seconds, you’ll feel your sinuses start to drain.